Maybe you have seen the Waco Brothers on stage? Or the Mekons? Or the Three Johns? 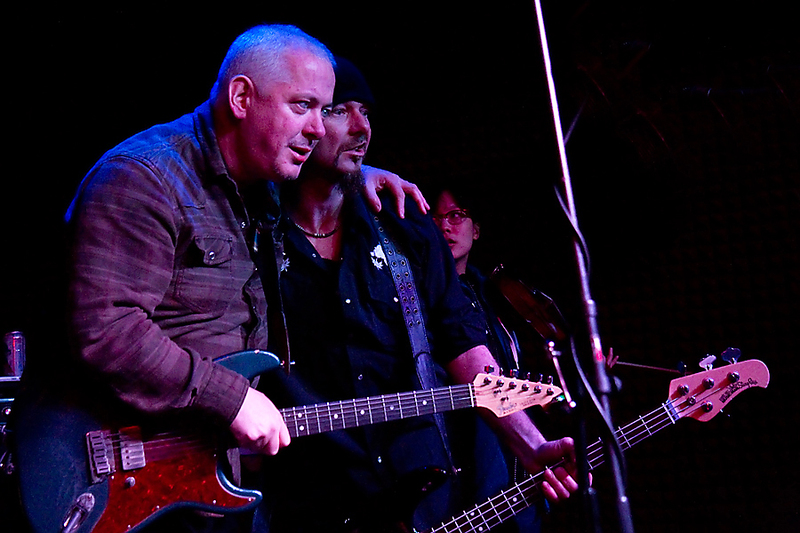 Or maybe Jon Langford with his own band? All these bands have one thing in commen, and that is this British gentleman, living in Chicago. When he doesn’t play music, he makes art or writes books. I have experienced the Waco Brothers live three times, the Mekons once and Jon Langford’s own band twice. I liked all three, but the great thing is that all of them have their different sound. What is common, is the pognant lyrics, the weird humour and the distinct punk feel of the music. 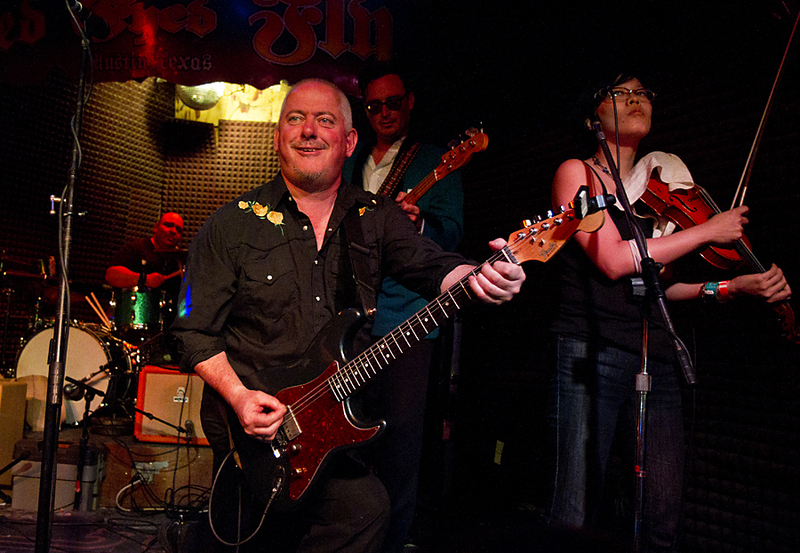 Every year for many years, Jon Langford has come to SXSW with one or more of his bands. The first time I saw him was at the Yard Dog’s backyard on South Congress in 2002. The same year he also played with the Waco Brothers, a wild happening that – among other things – involved kicking plastic glasses with liquor out to the audience. 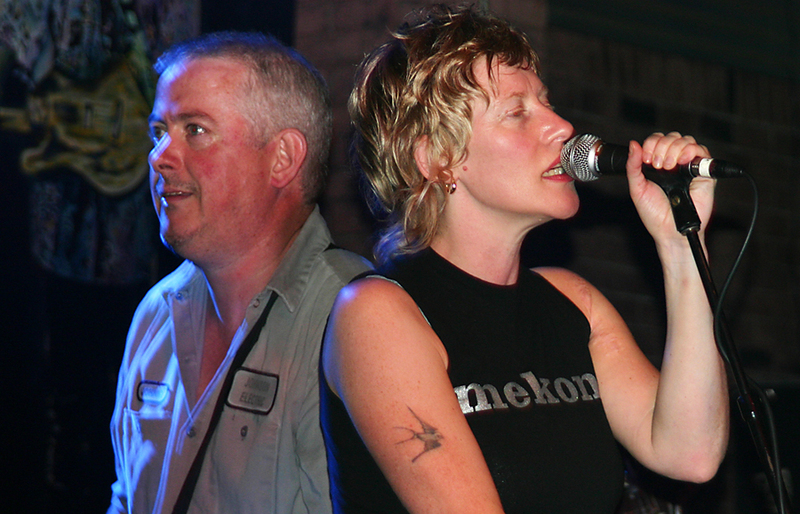 In 2004 I saw the Mekons at SXSW, and they made a big imression. They played at Antone’s, one of Austin’s best clubs for live music, and – as far as I remember, all the original members of the band were playing. I don’t remember which songs they played, but I remember the great dynamics in the band, specially between Sally Timms and Jon Langford. 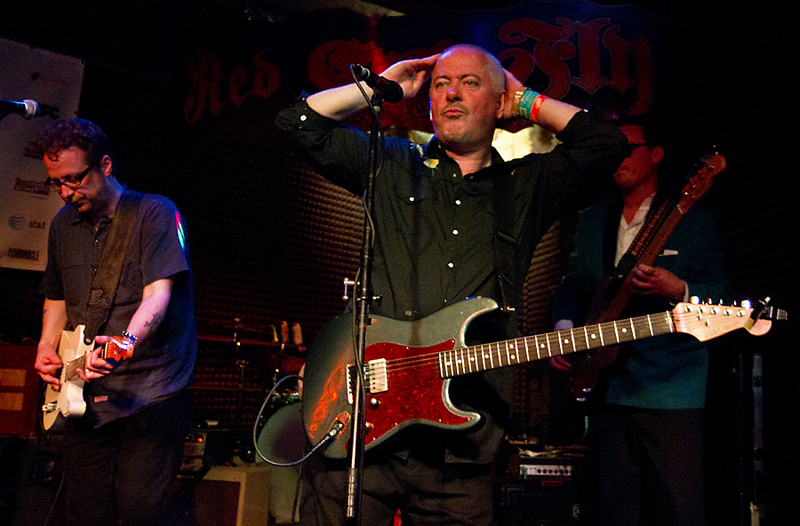 In 2010 and also this year I saw the Waco Brothers again at the Red Eyed Fly during SXSW. Both shows were great fun, and the first year a fan almost assaulted the band on stage. What makes the Wacos so good, is that in addition to the humour and the good songs, they are also a great band. I would never stand a whole show with a band that didn’t play well, and that is what makes a Waco gig good. Lofty Deeds by Jon Langford. 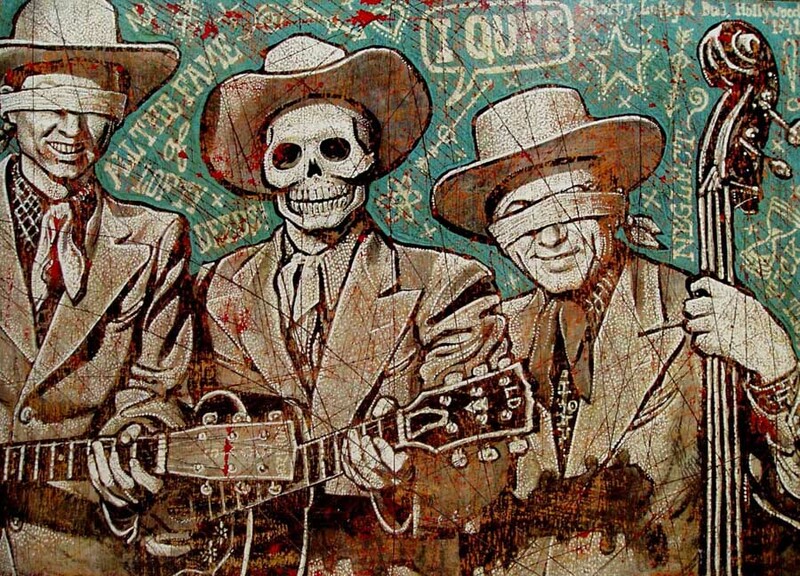 The other part of Jon Langford, is his paintings. He has his own unique and recognizable expresion that combines a simple, sometimes almost naivistic style with old American drawing styles. If you visit the Yard Dog on South Congress in Austin, you can buy one of his many paintings. He has exhibited them many places, among them in Halden, Norway. 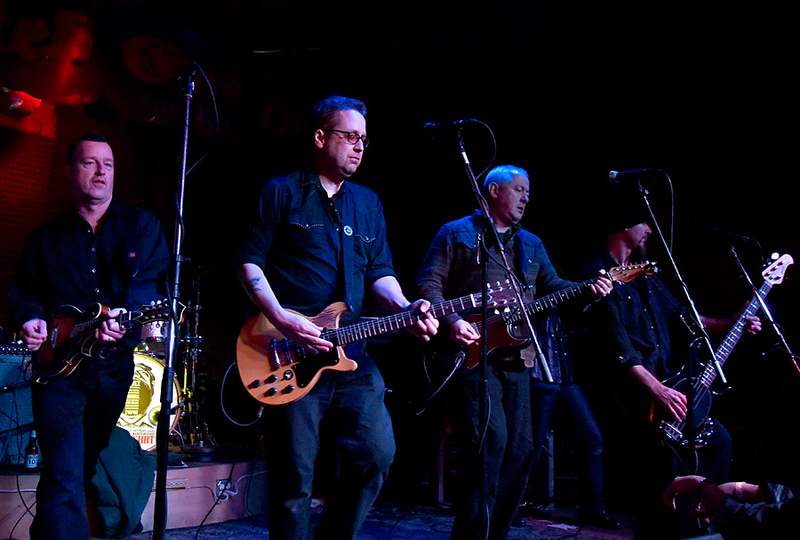 If you have the chance to see Jon Langford with one of his bands, just do it! I will certainly do, if not elsewhere, then the next SXSW. Many thanks to Jon Langford for the permission to use his painting in this article. The picture is © Jon Langford, while all the other pictures are © Per Ole Hagen. This entry was posted in Concert, Festival, SXSW and tagged Austin, Jon Langford, Mekons, music, Sally Timms, SXSW, Waco Brothers, Yard Dog by Per Ole Hagen. Bookmark the permalink. I’ve seen Jon several times at Hardly Strictly Bluegrass in S.F. Always a highlight.